An amazing product for the price and really well made. Designed using cross-woven reinforced nylon fiber to protect your safety glasses from impacts and falls. The case is closed using a velcro tab for the glasses case and a zip for goggles. It is attached to your person with a belt loop or accessory clip. 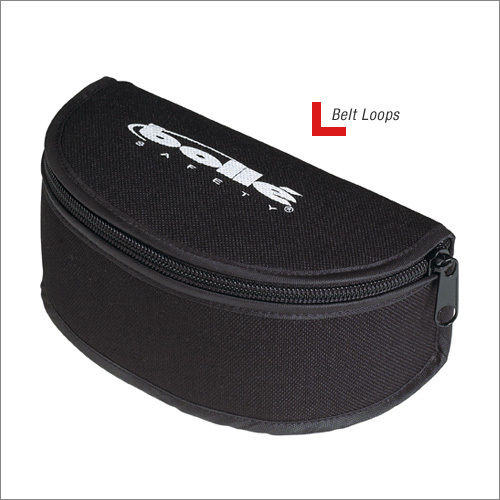 Ideally your safety eyewear will be stored in a microfibre bag within this case for maximum protection. Can also be used with any other sunglasses or prescription eyewear. 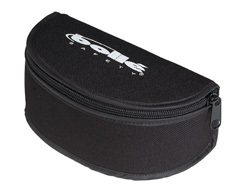 These cases are for Bolle products and no gaurantee can be provided that these cases will fit non Bolle protective eyewear. The large semi rigid case can be used for the cobra and X90 goggles. But they should not be used with the other larger types of goggles such as the Blast or Atom. Please see the large microfibre bag that will be suitable for these types of goggles.